LOUISVILLE - While thousands across East Tennessee celebrated New Year's Eve, some spent the night sick in bed. The Centers for Disease Control and Prevention (CDC) is now calling the flu an epidemic, meaning it is spreading quickly across the country. According to the Tennessee Department of Health, three children in the state have died of complications from the flu just in the last month. Across the nation at least 15 children have died from the virus. As the virus spreads, it is also interrupting holiday plans for families. 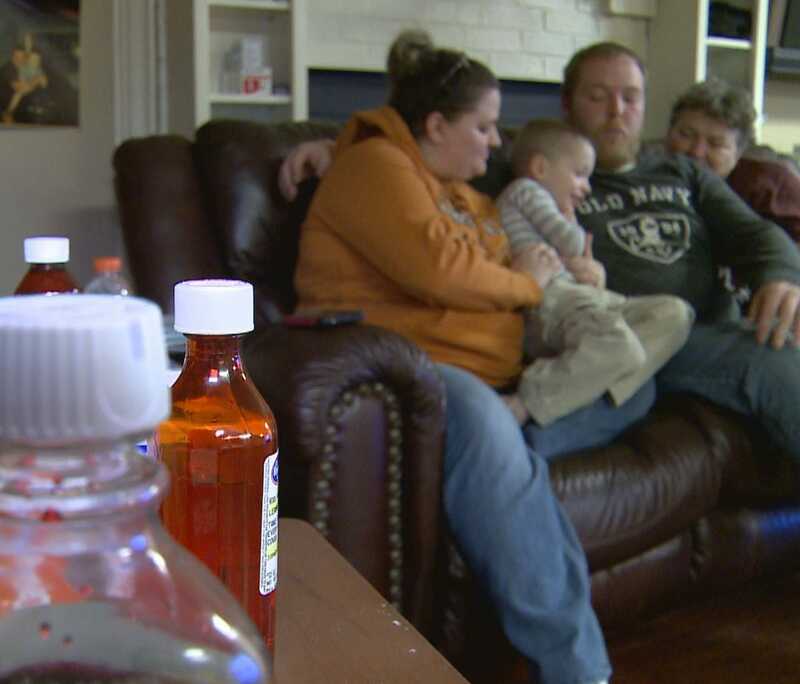 The Lawson family in Louisville spent both Christmas and New Year's Eve sick with the flu. "I don't want the germs. I want to head back to work and play my ball games," said Tyler Lawson. The 5-year-old was the first of his family to test positive for the flu. He started showing symptoms of the virus on Christmas. Then his mother, LeAnne Lawson, became sick on Sunday. "It started off she had a sore throat, coughing, sneezing," said LeAnne's husband, Chris Lawson. He went on to say, "She finally broke down and went to the doctor. They did the flu test. It came back positive." LeAnne Lawson tested positive for influenza type A; Tyler's grandma, Edith Croft, then came down with the flu on New Year's Eve. "I don't want it," said Chris Lawson, the only one in the house who is not sick. "I'm going to keep doing what I gotta do to stay away from it." Chris Lawson did not get vaccinated for influenza, unlike his wife and mother-in-law who did. About half of the flu viruses right now have mutated into forms not covered by this season's vaccine. "We had to cancel our Christmas dinner. It's actually twice we had to do that so we're trying to fit that in somewhere," Chris Lawson said. They had rescheduled the dinner for New Year's Eve, then cancelled again. "Just going to stay where it's warm and watch the ball drop on TV," said Chris Lawson. Tyler likes to pretend he is a TV meteorologist, while also reporting about the flu. His mother videotaped him giving a "flu forecast" in which he says, "On the next day there's no flu, no flu." The Lawson family is hoping for a quick recovery. Even though the flu vaccine did not work on LeAnne Lawson and Croft, the CDC still recommends getting vaccinated. The Knox County Health Department says some protection is better than none. Anyone missing a miniature horse?